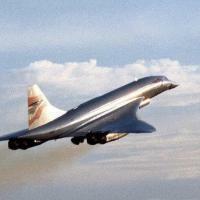 The following checklists have been created by Concorde enthusiast Ramón Cutanda. I am not a real pilot and, except from some volunteered and limited beta testing, I have no professional relationship with FSLabs whatsoever. Therefore, this is not, by any means, an "official", "approved" or "real" checklist, either by FSLabs or British Airways. Using the aforementioned sources, I have created TWO checklists, an extended and a simplified version, according to the following criteria. Omitting checks and actions for systems and items not simulated in Concorde-X by FSLabs, such as the oxygen system or weather radar. Because the checklists are performed with the limitations of interaction of a virtual cockpit and by only one pilot, instead of a crew of 3, I have done my best reordering the sequence of some items to avoid what I considered unnecessary panel jumps within Concorde-X while trying to respect an adequate and logical sequence. I have also reordered some sequences to follow a left-to-right and up-to-bottom pattern within a same panel (as when reading), trying to make the sequences more intuitive and logical. Adding real notes and comments to the steps to help understand the systems and the reason for every procedure. Not included in the list of possible fails, such as light bulbs. Only performed during emergencies or extended checks. I don't claim these checklists are better than any other, but I find them especially useful and I simply want to share in case they may be of interest for other Concorde-X pilots. 11/April/2016, v1.2. Click here to see the changes. 04/April/2016, v1.1. Click here to see the changes. just tried to to dowmload your new checklist.....but it seems that I'm unable to the nag box says the file is unavailable for my account. Any thoughts on this issue? I have just updated my previous post with a new link. I used the forum attachments systems before, but I have now linked to my own server. That should do. Many thanks Ramon that now seems to be working. I would also like to thank you for all your work and effort for our Concorde community. I have always found your files, videos, and general advice to be excellent! Thanks for this checklist and, as @sharky said, your work and effort here in the FSL Concorde X community. Once again, thank you and keep up the work! Gracias por la lista de verificacion Ramon! Considero su trabajo (videos y lista) muy excelente! will try it this evening on my world tour flight from MMAA-PHNL, wich is from your World tour site :-) wich is really stunning. I really enjioy your work it spends me a lot of time wich i can spend with my mife and my two Kids hehe. I've included bookmarks in the PDF which provides direct access to any checklist. Removed a reference to 88,4 ZFW which I accidentally ported over from the tutorial. Obviously the ZFW will be different on each flight. During landings, I find much more easy to hand-fly Concorde when I manually control the trim, so I like to disable the electric trim on manual landings. I guess most of you will find "weird" to find the electric trim check "as required" during the landing checklist, so added a note under that item explaining why. During the parking checklist the Ground Power was only referenced as "on" on v1.0. Now it's got two steps: first, request ground power, and secondly switch it on in the AC electrics panel. Interests:Flight sim and the weather. Thank you Ramon for providing such a useful checklist. Much quicker than trawling through the tutorial. I'm exited to announce that I am making a HUGE update to my current Checklist using a copy of a REAL British Airways Concorde Flying manual, with revisions between 1976 and 1979. On the one hand, I'm adding dozens of extra steps from the real checklists which are not included in the FSLabs version. However, some of these extra checks and actions are not really necessary to fly Concorde X. For example, "light bulbs test". Obviously, there will never be "blown bulbs" in Concorde X. So I had to decide whether to include or not those steps. A real crew would make those tests, so, if I aim for realism, I should include them. On the other hand, it's easy to feel "foolish" making test you know are not necessary; specially taking into account that all those extra steps increase by a noticeable amount the time needed to prepare each flight. In the end, I will mark with a different colour all the checks and steps which I consider absolutely essential to fly "safely" the aircraft so that newbies or those in "a little hurry" can fly easier and/or quicker just using those "bare essential" However, those looking for the "full thing" will have the complete checklist. For the time being, I am still only focusing in a "simplified" type of checklist, omitting all the steps the Concorde X VFE (Virtual Flight Engineer) takes care of. Thank you Ramon, I have learnt alot from your videos and docs, looking forward to this new development! @ forum admin: can we make this a sticky? Yes I just know your link. I think the "Isle hopping" will be interresting too :-) but now i have to finish the first tour ;-). By the Way the tour is flyable on vatsim, it only needs some explaining to the Atc. The Controllers are all verry excited to guide such an extraordanary Airplane. The Chcklist is perfect I can't find anything wrong in it. Its perfect. Im Looking forward for the updatet new one. Where did you get the original Checklist from. I searched myself a cuple of year ago but cant find any. "The subsonic cruise is carried out at Mach 0.95"
"Engine Control Schedule should be selected to "flyover" above Mach 0.8 for optimum performance." By the Way the tour is flyable on vatsim, it only needs some explaining to the Atc. The Controllers are all verry excited to guide such an extraordanary Airplane. 1. I've included a link to the original Microsoft Word document in the first post of this thread so that anyone interested can customize the checklist. 2. The new checklist I'm building is SO COMPLETE that I'm absolutely certain that only Concorde "fanatics" will follow it. For that reason, I've decided to keep this "simplified" checklist, which will be more helpful to many users. However, the new checklist will include EVERYTHING, as long as it's simulated in Concorde X, including the Flight Engineers checks. I will mark with a different colour those tasks or checks assigned to Concorde X's Virtual Flight Engineer, so that, if you have the VFE enabled, you know which ones you can skip. I will keep you updated about the progress. One comment on the checklist. You have nose & visor down in the taxi checklist. However, watching the ITVV Concorde DVD the crew lower it after 2 & 3 have been started and before pushback. This seems a logical point to perform this action as it requires power from two engines and the increased visibility is important. Thanks Pierre. That would be an important procedure. I'll lower nose and visor during pushback so they're down in readiness for the 'virtual' ground crew. I've been extremely busy this week. So busy that today (Thursday night) I am dealing with the emails I got last Sunday. I will check the video and the original checklists asap. Don't know why I didn't read this thread sooner! Just to clarify, the visor only was lowered before or at the start of push back, the nose was lowered to 5 degrees after the ground crew were clear and immediately before taxi. It meant there was less chance of nose damage from ground objects/vehicles but still good visibility. Normally the ground pin would be seen out of a side window as it would be rare for an aircraft at LHR to be pushed straight back and left there. I don't know CDG well enough to comment on that. I assume by complete checks you are including all the pre-flight scans that were performed from memory? They take a long time so you are correct about the type of sim pilot that will want to use them! I have completely rewritten my first post to reflect the changes in the new versions, plural, as there are now TWO checklists: an extended and and simplified version. Hopefully, you will find them useful. Thank you so much for your time and effort that you freely give the ‘Concorde community’. It is very much appreciated and extremely helpful. Many thanks and have a very happy new year!